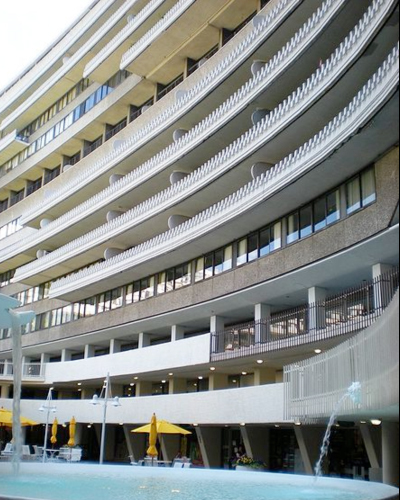 TCE designed major renovations to the 250 guest Watergate Hotel, originally completed in 1967. There are 14-stories above grade and a three-story below grade parking garage. A complete new ballroom replaces the existing ballroom with 2’-6” soil on top (green roof). The structural design utilizes two 56ʺ deep steel plate girders with a 56’-0ʺ span (column-free). Seven new elevators were added to replace the five old elevators. A large slab opening was cut at the ground floor to create double spacing for the new restaurant. New canopies, roof deck, and amenities are also included in the design. Construction is scheduled to complete in June 2015.